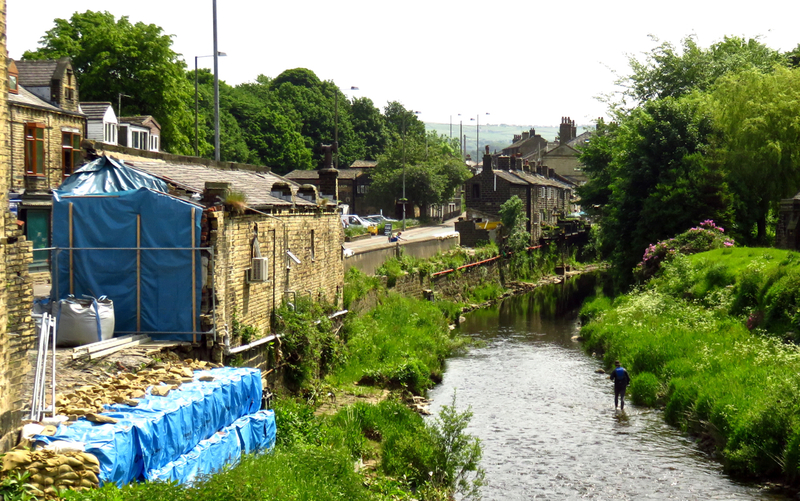 Mytholmroyd lies about a mile downstream from Hebden Bridge and was devastated by the 26th December flood, being inundated with over seven feet (more than two meters) of water. The hole in the line of buildings to the left was formerly a travel agency but collapsed into the river that day. I find it sad that in the line of shops behind there are still signs up saying ‘reopening 4th January after Christmas’ and the like. Still, it looked sylvan enough today, though what the guy is doing in the river, I have no idea.